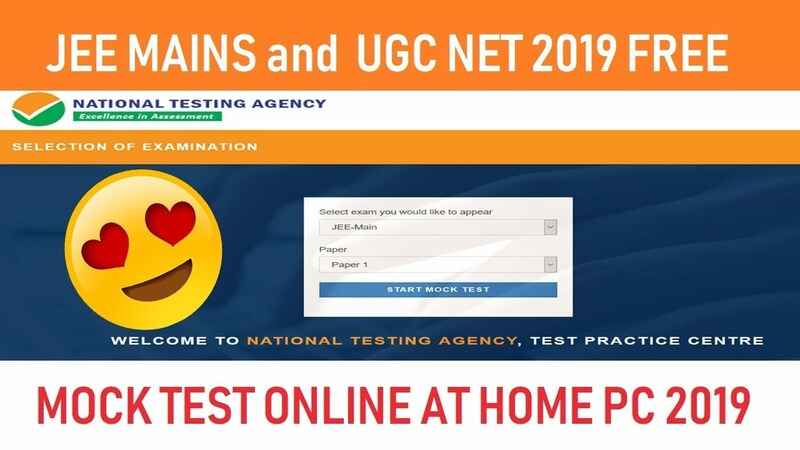 The National Testing Agency has released the online mock tests for all the candidates who will be attempting the JEE Main 2019 examination. Students can take up the online examination by visiting the official website of NTA and also download the same for practicing offline. JEE Main is one of the most awaited examinations that is taken up by millions of students who seek admission in top IITs across the country for engineering and architectural courses. However, pertaining to the new major changes brought about in the examination many students are left obscured about how to attempt it. According to the changes, the first is that it will be a computer-based online mode of examination and the exam will be conducted twice a year. Furthermore, NTA which is the exam conducting body will be responsible for allotting the slots from this year. However, there exists a lot of obscurity amongst students regarding the new changes especially about the computer-based mode of examination. This article deals with clearing the misconceptions related to the examination and how can candidates prepare themselves for the test using the online mock exams. To make things easier for students, NTA has released mock tests of JEE Mains for practice. Students can participate in the mock tests and practice sessions which will be conducted every Saturday and Sunday at the Test practice Centers (TOC). The test interface of the computer-based test will be conducted exactly the way it will be on the day of the exam, thus making aspirants accustomed to the exam pattern. In other words, the motto of these tests is with a view of rendering aspirants maximum advantage of the exams. Before proceeding to the section on how to attempt and prepare for the Computer-based Mock test for the upcoming JEE Mains in 2019, let's look at some of the queries that linger the minds of students. Here are some of the facts that would help shed light on the doubts. The online examination doesn’t use internet regarding answers. They are conducted using a computer software that doesn’t make use of the internet. No, there is no difference in the level of questions asked in the examination. All questions are predefined and will be same as that of previous years as conducted during the pen and paper mode. All the candidate needs to know is, how to click the mouse and is not required to hold any extra knowledge of computers. This is a popular misconception that has gripped the minds of students leaving them cold feet. The responses are collected using a computer software and cannot be accessed by anyone. In addition, even the student won't be allowed to access any part of the test once the exam is over. The computer-based online tests work on a real-time basis. As soon as the student mark their answer or change it during the exam, the response will be immediately recorded. For all students who are attempting the computer-based model of examination for the first time, there is nothing to worry about. All the candidates will be provided instructions on the computer screen about how to use the computer during the test.